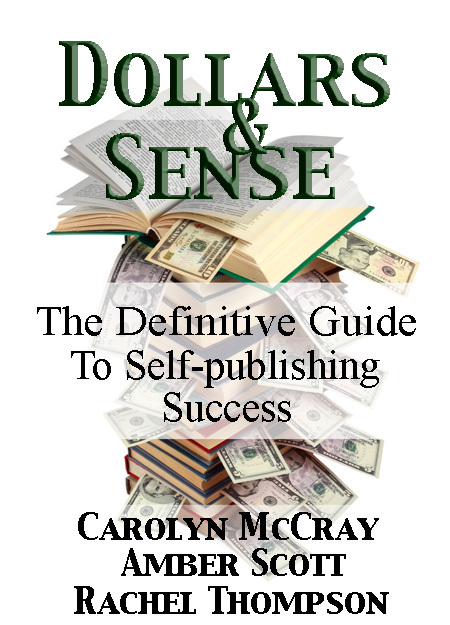 Whether you are a new or a seasoned author, indie or traditional, you will want to grab a copy of “Dollars & Sense: The Definitive Guide to Self-publishing Success” by Carolyn McCray, Amber Scott and Rachel Thompson. And the best part? June 29th only, it will be promotionally priced at just 99 cents! We also have 3 Bonus Buys from the authors of “Dollars & Sense” to show their words in action. “Fierce Dawn” by Amber Scott. Move over angels there is a new winged hero in town! This was also last month’s BSFAD. Voila! You’ll have earned 5 entries towards winning the Kindle! Don’t have a Kindle yet? No problem! We’ve got you covered. Grab your free Kindle app for your PC, Mac, iPhone, iPad, etc. HERE. People pay hundreds to thousands of dollars to get the kind of advice that Carolyn, Amber and Rachel are offering in “Dollars & Sense” and on June 29th you can have it for 99 cents! From Twitter to Goodreads to branding, every author can boost their career with this actionable advice. Spread the word and pay it forward to your fellow indie authors! Blog, Tweet, Text and FB the news. Let’s see how fast this book can race up the Kindle charts. Are you signed up for our newsletter so you don’t miss out? Head over to Best Seller for a Day NOW and sign up to get the scoop on this and future Best Seller For a Day promotions plus how to earn EXTRA Kindle entries. Carolyn is the Founder of the Indie Book Collective, a group dedicated to helping authors use social media to its fullest potential to sell their books. The #IBC exploded within 4 months to have over 5,000 members and its work has already been covered in major, national publications. She has been described as an eBook marketing guru (others’ words not hers), a volcano of Amazon.com eBook knowledge (again, not her words), and the Borg Queen (ok, maybe she coined that one herself). Each one of her novels have reached bestselling status onAmazon.com and her super controversial thriller, “30 Pieces of Silver” topped (as in #1) the Men’s Adventure category, #3 in the War sub-genre, and #183 overall (out of about1 million books) in the Kindle Top Bestsellers. Carolyn also has contributed to Digital Book World.com and has been covered by the Huffington Post (Books). Carolyn appeared on a panel with Jane Freidman at SXSW regarding the future of digital publishing and will appear on several panels at the NY Indie Book Event (7/2011). In between naptimes and dishes, Amber Scott escapes into her characters’addictive adventures. She often burns dinner, is a sucker for chocolate and still believes in happily ever after. She lives in Arizona with her charming husband, cuddly kids and, someday, many, many cats. She co-founded the Indie Book Collective along with the queen of snark, Rachel Thompson, and the force of nature, Carolyn McCray. Rachel Thompson (aka RachelintheOC) is the author of the consistently 5/5 star reviewed humorous and at times, poignant, collection of essays, A Walk In The Snark (released 1/2011), which recently hit #3 on the Amazon Humor/Parenting & Families Kindle list (beating out the likes of Jenny McCarthy! ), after just a few months of release and has consistently stayed on the Amazon Top Humor Lists. In May, 2011 A Walk In The Snark hit #1 on Smashwords Entertainment Bestseller list also. Rachel is also one of the cofounders of the Indie Book Collective, an organization with over 6,000 members which is dedicated to helping authors utilize social media to the fullest to sell their books. The Collective offers free workshops, a live advice radio show, innovative programs such as Blog Tour de Force & Bestseller for a Day, and so much more to its members. You can find Rachel most days on Twitter, Facebook, Goodreads, giving daily tips on the IndieBookIBC Twitter stream, contributing posts to the IBC blog or her own popular blog, giving free social media workshops for writers, promoting her current book or working on her next book, The Mancode: A Survivor’s Tale. She lives in the OC aka Orange County, CA (home of Disneyland). Somewhere in there this redhead in a sea of blondes fits in being a full-time wife and mom to her two young children and just one husband. She loves coffee, dirty martinis, and sleep. Rachel and the IBC were recently profiled (April 13, 2011) in the Huffington Post Books section regarding social media and ePublishing. I hear great things about this book however i can’t seem to find it on Amazon or any other sites to purchase. Is it still available?